If You Have a Home in Ventura You Want to Sell We Can Help! We Can Buy Your Ventura, CA Home for Cash! No matter the condition of the home we buy "as-is". We'll pay you cash for your home. No loans necessary. Need to sell quickly, we can close in 10 days or less. Enter your property info below or call 951-331-3844 or chat with us! After we speak with you, we'll make an offer for your property. If you like the offer we make, consider your home sold! If a family member passed and you inherited their home but want to sell fast & at a fair price - we can step in and take the home off your hands. If you need to sell your house now due to relocation, and can't wait for a realtor, selling to investors is a great option. Call us today to learn more. More often than not when going through divorce, selling the home and splitting the sale price is the best option for families. If you own a rental home you want to sell because you're tired of land-lording, we'll buy it. We'll also take on the Tenants so you don't have to deal with it. If the roof is caving in, exterior is falling apart, or the home simply doesn't look good, we'll buy it off you so you don't have to worry about this. If you're facing foreclosure waste no time. Call us now at: 951-331-3844. We may be able to help you avoid foreclosure & damage to your credit. Ventura County’s predictable real estate market tends to move with the seasons, experiencing its highs and lows throughout the year. Though the market is healthy, not all homeowners are able to sell their home quickly on the traditional market due to the desires of buyers and the market’s little quirks. 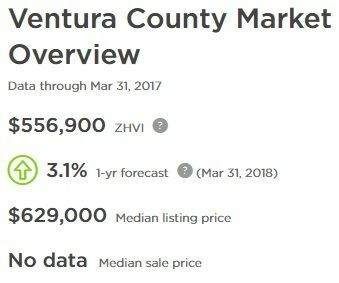 The median home value in Ventura County is around $538,600. The majority of neighborhoods sit at a similar standard, with outliers like Moorpark, Ojai, and Somis commanding higher values, as these areas contain a high amount of luxury properties. 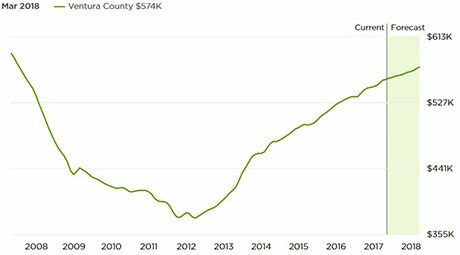 Homes are a little more expensive in Ventura County, especially compared to the quieter areas of Riverside or San Bernardino counties. Ventura is one of the better places to live in Southern California, and this is reflected in the value averages. Most of Ventura is largely considered to be upper middle class to upper class in terms of the standard of living. A lot of the properties in the county are modernized, and most are in an excellent state of repair. Homes in Fillmore and Oxnard may sell a little slower than higher priced areas like Ojai and Somis, because the homes in these areas are a large draw for people moving to Ventura from other counties. There are homes in Somis that sell for closer to $2,000,000, though these properties are in low volume. There are also homes in Fillmore that will sell for less than $399,100. It’s also worth noting that these averages reflect the homes that are selling on the traditional market. Homes in bad neighborhoods, homes that need structural repairs, and homes that haven’t seen renovations in the past few decades are likely to be valued at a lesser sum. Ventura County’s real estate market is healthy, and at a somewhat neutral stance. Buyers and sellers have equal advantages, and the sale process is very balanced. The average listing time is about 70 days, with 16% of homes ultimately selling at a price cut, and 15% of homes selling for below their previous sale price. The market has been something of a bumpy road across the past few years, waxing and waning with low dip of inactivity and high peaks of resumed activity. It isn’t constantly productive, but it always rebounds. Ventura’s market has defied a lot of the odds that have faced surrounding counties. In 2012, it saw some negative effects, but not as profoundly upsetting as the effects in neighboring counties. Ventura’s low came in 2013, and its progress toward recovery has come in steady waves. Homes in Ventura tend to sell best at the beginning of the calendar year, and stability fades out as winter approaches. Ventura is mostly a seasonal market, following patterns opposite those seen in typical snowbird destinations. It’s not uncommon to have difficulty selling a home in winter or early spring, with things picking up in the summer and fall seasons. You’re most likely to find a buyer during the county’s busy real estate window. With average listing times below 90 days, most homeowners list right before the start of spring in order to complete their sale before the next year. If your home isn’t selling during the busy seasons, this is a sign that buyers may not be interested in what you have to offer. What Happens if You're Not Able to Sell Your Home in Ventura County? In Ventura, waiting is part of the game. That game usually comes to a conclusion between March and July, when properties begin to sell faster. If your home didn’t sell in this time period, your next realistic chance to sell your home will likely be in the same window of next year. If you don’t have time to wait or you’ve already listed twice, you need to observe the sale situation with a critical eye to determine why things aren’t working out for you. If you’re expecting to fetch the area’s average for your home and buyers scoff, it’s because other properties selling for the same price are better. Maybe they’ve been updated in the past five years. Maybe your home has some structural defects that make it unappealing. Buyers aren’t going to choose a damaged home when a home in great condition is going for the same price. They want to shop smart. If you have the money to repair and update your home, it may help it sell faster. 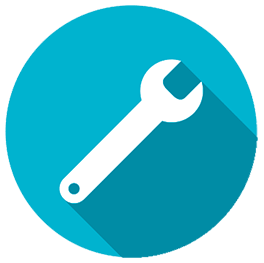 The only downside is that you’ll need to wait for repairs and updates to be completed, and there’s no guarantee that you’ll actually see a return on your investment when all is said and done. If your home isn’t selling and you don’t have thousands of dollars to play with, this can be frustrating. You can absolutely sell your home in its current condition, but you’ll need to find a buyer who will be willing to take your home as-is. In most of these situations, a home investor will be interested in your property. Why Sell Your Ventura Home to an All cash Buyer? We're willing to buy homes of any age, at any shape, at every time of year. We don’t purchase seasonally, and are never bothered by the same things that traditional buyers concern themselves with. When you work with us you don’t have to wait around. We are more than willing to purchase homes that seem virtually impossible to sell. It doesn’t matter if your home is damaged or what your selling situation is – we’re still interested in taking it off your hands at a fair price. Camarillo, Moorpark, Oxnard, Santa Paula, Thousand Oaks, Fillmore, Ojai, Newbury Park, Santa Susana, La Conchita, Bell Canyon, Port Hueneme, Simi Valley and Ventura.